"I love sharing stories at the HCA Statue, because there is nothing like the sweet breeze and gentle excitement of the gathering of both storytellers and story-listeners, there. Delightful, joyous, infectious enthusiasm is shared as the magic of the stories infuses the hearts of everyone." Charlotte Blake Alston. With a warm, elegant and commanding voice, storyteller and singer Charlotte Blake Alston breathes life, infectious energy and inspiration into traditional and contemporary African and African American stories and songs, sometimes accompanying herself on the 21-string kora. She has performed throughout the US and abroad including the Kennedy Center, the Smithsonian Institution, a Women’s Festival in S. Africa and with major symphony orchestras. 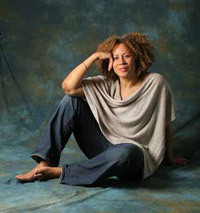 Since 1996 she has been a featured artist Carnegie Hall’s Family concert series. She is a recipient of the Circle of Excellence Award, the Zora Neale Hurston Award and the Commonwealth of PA Artist of the Year Award. "The Storytelling Statue helps remind all the children, big and small, young and old, that storytelling is an important artistic expression; that stories can entertain, inspire, heal, and nourish our souls." 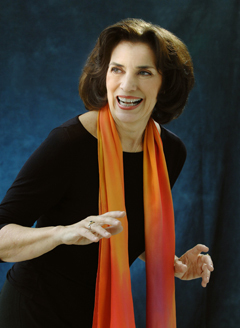 Rita Auerbach has told stories at the Connecticut Storytelling Festival, the Museum of Natural History, Scandinavia House, and bookstores and libraries throughout the metropolitan area. 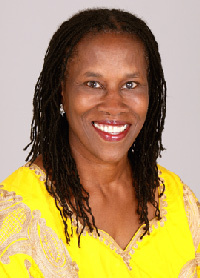 She is the recipient of the 2015 Coleen Salley Storytelling Award from the University of Southern Mississippi and is a member of the Anne Izard Storytellers' Choice Award Committee. "I love telling at the statue because it is a magical place where listeners and tellers leave the everyday world and are transported and transformed." Robin Bady. 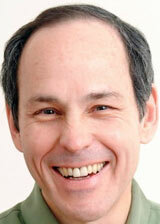 Award winning storyteller Robin Bady is based in Brooklyn and performs and teaches across the United States and Europe. favorite authors and storytelling heroes, Hans Christian Andersen. The magic has already begun!" Carol Birch understands metaphors rock! In her sure voice, literature’s appeal is appropriately conversational and intimate. Audiences respond to her infectious enthusiasm and her peers have awarded her the Circle of Excellence for setting standards in excellence. "Storytelling undoes the damage of haste, while fantasy operates like a safety valve effectively shedding light on the incredible realities of life. It is good to gather around the statue of a man who understood this." Laura J Bobrow. Award-winning poet/storyteller Laura J. Bobrow refers to herself as “an author who talks out loud.” She is the possessor of a happy combination: an easy manner, an intelligent understanding, and a curious love of the special world that is a child’s. 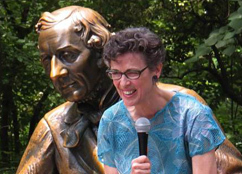 She currently resides in Leesburg, VA.
"What a joy to be telling his stories in New York City and in gorgeous Central Park while multi-talented Hans Christian Andersen is practically sitting right behind me!" Angela Halvorsen Bogo is English and lives in Norway. 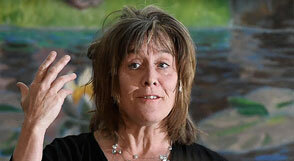 She originally trained as a clown then began learning traditional storytelling in Scotland in 1990. Since then she has travelled the world building bridges through telling stories, singing and teaching her own special workshops and retreats. www.thefoolstory.com "I love storytelling at the Hans Christian Anderson statue. Collections of his stories were in my childhood home sent from Denmark the year I was born, they have moved me all my life and were the first stories I learned to tell. He was a great writer and traveller. May his stories continue to touch the hearts of millions across the world. " Michael Braudy is a violinist who specializes in Western classical and Celtic music and the music of India. A versatile improviser, he regularly collaborates with poets, storytellers, dancers, theatre and mime, and gives workshops on sound and meditation. His recordings can be found on www.michaelbraudy.com . "The Statue is important to children because it is a magnet to them, having drawn so many to it before them, hosting a wealth of storytellers since its inception by Diane Wolkstein." Milbre Burch. Having loved fairy tales all her life, Milbre Burch grew up to be what she always was: a storyteller. Also a GRAMMY-nominated spoken word recording artist, she tells original stories and oral tradition tales to support social justice issues and engage community. Arif Choudhury tells stories of growing up in a Bangladeshi-Muslim family in Chicago. He performs "More in Common than You Think," a program of stories; has recorded "Where Are You From? And Other Difficult Questions," and has written a children’s book entitled "The Only Brown-Skinned Boy in the Neighborhood." He is currently promoting "Coloring," a short film. "I will tell you something about stories . . . They aren't just entertainment. Don't be fooled. They are all we have, you see, all we have to fight off illness and death." 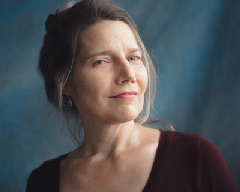 Karen De Mauro specializes in myths and participatory storytelling to form connections between universal themes and everyday life. She creates site-specific interactive presentations throughout the US, Canada, and Japan for parks, schools, and cultural institutions such as The Smithsonian, The United Nations, and The NY Foundation for the Arts. "What better place than Central Park’s Hans Christian Anderson Statue to keep the vital legacy of story alive in the green heart of the city! Telling stories here joyfully connects us to what matters." 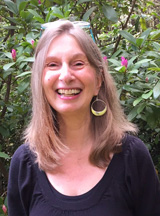 Jane Dorfman tells stories for children and adults at festivals and in libraries and schools. She has performed at the Smithsonian Institution and on television Channel 32’s holiday storytelling program. 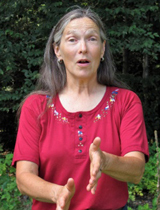 She is a repeat teller at the Washington Folk Festival and Voices-in-the-Glen Festival and has told at Speak! in Shepardstown, WV. Diane Edgecomb. Diane’s dynamic storytelling embraces elements of theatre, movement and song, giving each story its own unique presence and life. Featured on NPR and at the International Storytelling Center, Diane has authored the first book of Kurdish folktales in English gathering them in remote mountains. "…an entire cast rolled into one!" "What does it take to create a storytelling tradition? Not only knowledge of the value of these ancient tales but the commitment to carry them forward with insight and love. Thank you to the Hans Christian Andersen Storytelling Center’s ongoing series for the gift of tales from many cultures in the open air - open to all." Gerald Fierst is an acclaimed storyteller who has been featured at the National Storytelling Festival, the Hong Kong Literary Festival, and Limmud, the European Conference of Jewish Education, as well as universities, cultural centers, and festivals in the United States, Europe and Asia. 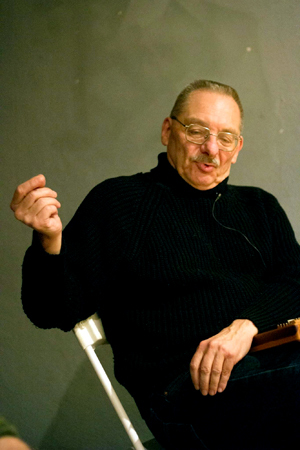 His recordings of world folklore and Jewish stories of Tikun Olam have won Parent Choice awards. Fierst was a cultural representative for the U.S. Embassy in Spain from 2008-2011. His book, The Heart of the Wedding (Parkhurst Brothers, 2011), shows the power of story in 21st Century wedding ceremonies. "The Hans Christian Andersen Storytelling gathers people of all ages and from all over the world, reaffirming that the heart of New York City's identity is the shared stories and traditions that create a unique world class metropolis. As we tell each other our stories, we discover that our words are the expression of our common humanity and have the power to show us the way to live together." 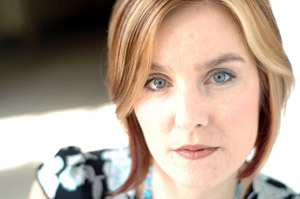 Heather Forest is an award-winning storyteller, musician and children's book author. She has toured her repertoire of musical folktales told in a fusion of original music, poetry, prose and the sung and spoken word for audiences of all ages at venues both nationally and internationally. "It is a delight and an honor to participate in keeping the stories flowing and growing at the Hans Christian Andersen Statue"
Jackson Gillman – “the Stand-Up Chameleon.” Rudyard Kipling – “a magician of words.” Put them together and you’ll see why Kipling’s timeless classics have been adored by many generations worldwide. Of 120 shows from around the world, this show received the Best Educational award in the 2014 United Solo Theater Festival. Jackson’s storytelling career started with these stories in 1978. 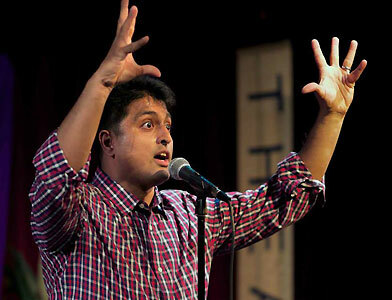 Since then he has been featured four times at the National Storytelling Festival and also four-time Teller-In-Residence at the International Storytelling Center. 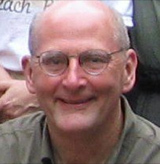 Since 2000, Jackson portrays “Rudyard-in-Residence” at Kipling’s historic Vermont home for a week each year. He also helps others develop and share their own personal stories during his annual Springboards for Stories workshops held in that inspiring setting. David Gonzalez is a Cuban American storyteller and musician who performs throughout the world on stage and in schools. He won the Drama Desk Nomination for "Unique Theatrical Experience" and the Lifetime Achievement Award from International Performing Arts for Youth. He is also a Joseph Campbell Foundation Fellow. 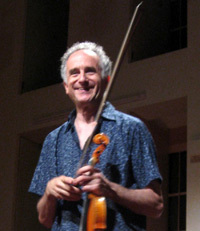 Bill Gordh has performed with the New York Philharmonic, at the Connecticut Storytelling Festival, the Clearwater Festival, The Byzantine Fresco Chapel Museum, The Tribeca Film Festival Family Day, New York Historical Society, Scandinavia House and for 3 consecutive years as a featured teller at the White House Easter Egg Roll. "The fact of the statue being where it is means that parents are asked by curious children who this big man is. The stories follow and what a gift that is!" Katie Green grew up listening to her grandfather tell stories on the front porch of his home in southwestern Virginia. Today, Katie lives in a wooded New England town and travels near and far to continue the storytelling tradition. Known for her skill in finding the heart of a story, Katie brings characters to life with her voice and movement. She has organized storytelling venues in Central Massachusetts and volunteers her time to the storytelling community. 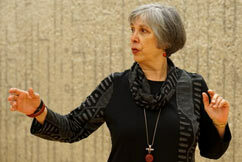 Jean Hale is a storyteller, literacy teacher and New York City native. A lifelong traveler, Jean has admired and collected folklore from every corner of the globe. In recent years, she has become immersed in the cultural festivals of the Scottish Shetland Islands. 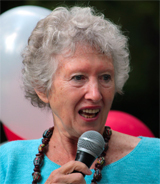 She is thrilled to return to storytelling at the statue, one of her favorite events for children and children at heart. "Storytelling at the Statue is for me a heart-opening experience, in a place where the laws of gravity no longer apply." Melissa Heckler. My older sister, Jenny, roped me, age 5, into helping her with the dinner dishes by creating an ongoing series of adventures about a character named "Little Fawn." She taught me stories have no equal in developing imagination, cementing relationships and getting odious chores done. Turns out my mother and grandmother were involved in the same story dialog. In 1977, while getting a graduate degree in education, I took storytelling with Diane Wolkstein and at last found my career path. Real quick, before it could be added into my credits, I took the course again. Damage done. I've been telling stories ever since – in schools, libraries, in the Kalahari in Namibia, Africa and Cape Town, South Africa. "Generations of children, including my own two, have grown up and wise at the Hans Christian Andersen Statue. Both have commented how deeply their value systems are rooted in the years of stories they heard at the statue." 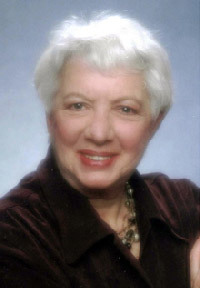 Judith Heineman. Judith recently returned from Japan where she told her highly interactive stories in English to over 2000 students accompanied by a classical violinist and pianist. She is an Illinois Humanities Council "Road" Scholar, touring with musician Dan Marcotte, who performed with her at Clearwater last year. Their CDs: Grimm 's Grimmest: The Darker Side of Fairy Tales (for adults) won a Parents' Choice Gold, a Storytelling World Honors and a National Association of Parenting Press Award; The Magic Carpet: Songs and Stories from Mesopotamia and Ancient Egypt won a Parents' Choice Silver, and a Storytelling World Award. Judith is an NSN Oracle Award winner for Service and Leadership in the Midwest. She splits her time between NY and Chicago where she performs, produces and conducts Storytelling workshops. www.judithanddan.com "Telling stories at the HC Andersen Statue in Central Park is the quintessential New York Experience that delights and surprises all who stumble upon us as well as honoring the memory of its long time champion Diana Wolkstein." Mark Horn was born in Brooklyn sometime in the middle of the last century. He has taught traditional Jewish storytelling at Prozdor, the high school of the Jewish Theological Seminary. And he is on a quest to discover the last remaining true eggcream in New York. "Not many people know that the great architects of Central Park, Frederick Law Olmsted and Calvert Vaux were opposed to the placement of any statues in the park. I'm glad their wishes were not followed: the statue of Hans Christian Andersen is a celebration of story and of children. It, along with the Alice statue, were created for children to climb on. And anything that gives children in New York a rule-free way to play and imagine is essential to our humanity." 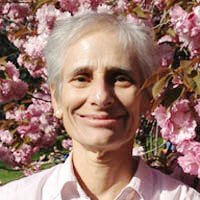 Dr. Linda H. Humes is an adjunct assistant professor at John Jay College. 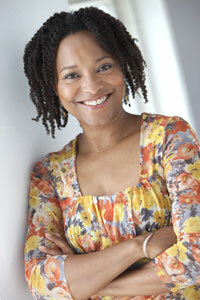 She researches African American storytelling and culturally responsive education. 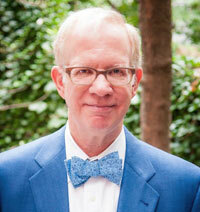 Dr. Humes is a storyteller and folklorist who performs and conducts workshops around the world. She started her storytelling career in 1989, through the mentorship of Dr. Emeritus Mary Umolo Sanders at Medgar Evers College. 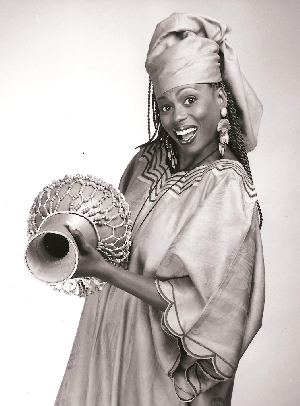 Her CD, "Kwanzaa- A Time to Celebrate" received the 1999 Silver Parents Choice Award. Her newest CD, "On the Shoulders of Our Ancestors," is receiving rave reviews. Joy Kelly. A native of Tennessee and the daughter of a Baptist preacher, Joy grew up with storytelling all around her. She began telling her own stories at the age of 10. The traditional tale “The Golden Arm” became a much-requested family favorite! Since then Joy has branched out performing in museums, schools and libraries in the New York City area as well as being a featured teller in the Clearwater Festival, Mohegan Festival, Riverway Festival and a the Provincetown Playhouse In New York City. "One of my favorite stories as a child was the Ugly Duckling by Hans Christian Andersen - a story about discovering one's true self. Telling stories right by Andersen's statue with the Duckling at his feet is a constant reminder of the joy of discovering a deeper, honest and sometimes more playful self. What an honor to get to do that!" Jeannine Laverty has been telling international folk tales since 1979 when her work teaching English as a Second Language to immigrants in New York City showed her firsthand how the U.S. is made up of cultures of all the countries of the world. She lives in Saratoga Springs. "Telling to New Yorkers with the statue of that great lover and teller of stories behind me cannot help but deepen the work." 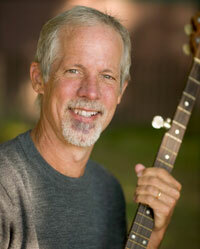 Jim May is an Emmy Award-winning storyteller and writer. His collection of stories about growing up in McHenry County, The Farm on Nippersink Creek, won a best book award from the Public Librarian Association. 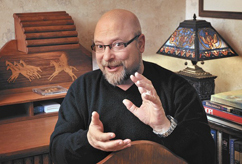 He is co-founder of the Illinois Storytelling Festival and for 20 years it's artistic director. His book, Trail Guide For a Crooked Heart, Stories and Reflections for Life’s Journeys was published in 2016. He was inducted into the National Storytelling "Circle of Excellence" in the year 2000. 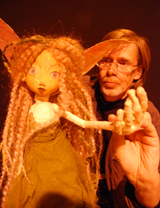 He has toured the U.S, Canada, Mexico, and Europe, presenting at schools, storytelling and folk festivals, as an artist/author in residence at schools and universities, and in nonprofit and corporate venues emphasizing the role of myth, story, and culture in the personal, family and community context. "It will be an honor to stand at the statue, to literally stand upon the same sacred ground treaded upon by my storytelling heroes and mentors like Diane Wolkstein and Laura Simms." Mara McEwin is the Artistic Director and co-founder of Treehouse Shakers, a dance and theater company that currently has five performances on tour. 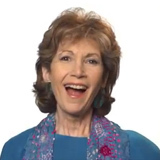 Named “Best Storyteller of New York” by New York Press, some favorite featured storytelling performances include; Baby Gap, Miramax, Turtle Pond Publications, Chocolate Sauce Publishing, F.I.T.’s Toy Design Department, The Metropolitan Museum of Art, The Tribeca Film Festival, among others. 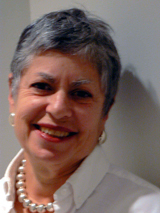 She was the subject for a qualitative dissertation on the inclusion of storytelling in the classroom by Dr. Barb O’Neill, and has created storytelling curriculum for schools throughout New York. 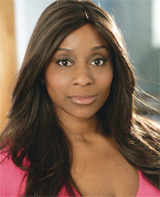 She is a Board Member for The International Performing Arts for Young People (IPAY). 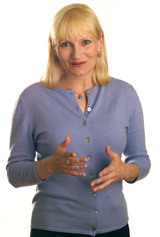 Julia M. Morris, Ph.D. Julia M. Morris is a storyteller and early childhood arts specialist. She received her Master of Arts in educational theatre and early learning at NYU, and is currently pursuing doctorate work in Mythological Studies at the Pacifica Graduate Institute in Santa Barbara, California. "Each summer I tell at the statue, I enjoy the magical setting more and more. As a result, my tales begin to integrate and merge with the sounds of the birds, the tranquility of the pond, and the smiles of the audience. Mr. Andersen is always invoked, and always very present with all of us." Motoko. 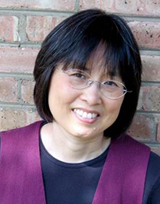 A native of Japan, Motoko has told stories professionally across the U.S. since 1993. Her featured appearances include PBS’ “Mr. Rogers’ Neighborhood”, Provincetown Playhouse at NYU, and the National Storytelling Festival. 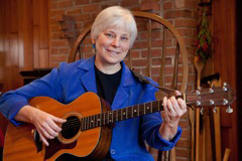 Her award-winning CDs are available at www.folktales.net. 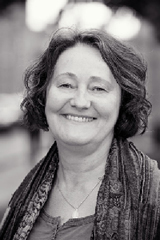 Lise Marie Nedergaard. 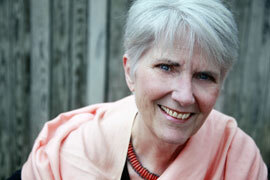 Danish storyteller Lise Marie Nedergaard is third generation in a family of professional storytellers. She has performed for audiences of adults and children all over Denmark and at storytelling festivals at home and abroad. 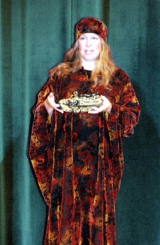 She represents the H.C. Andersen Museum in Denmark as storyteller on public occasions. "It is moving to be invited to tell stories at place where so many people from all over the world have gathered to listen to and tell tales of our shared humanity. H.C. Andersen drew inspiration from a wealth of sources: local folktales, contemporary writers, stories from 1001 Nights, the great world mythologies, conversations with scientists, the everyday language of people in the streets, impressions from journeys to Turkey and North Africa … I can think of no better place for him to dwell than here beneath the trees in Central Park where all this vibrant life comes together and unfolds in one place." 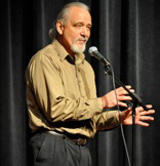 Loren Niemi is an innovative storyteller, Fringe Festival performer, and author. His work includes a poetry chapbook, “Coyote Flies Coach,” and "The New Book of Plots" on the uses of narrative and the critically acclaimed, "Inviting the Wolf In: Thinking About Difficult Stories” which he co-authored with Elizabeth Ellis. Loren Niemi has not forgotten that he told stories in First Grade to the disapproval of Sister Gemma and has been at it more or less nonstop since then. "The joy of stories told is made sweeter when we share the hearing with every generation." Valentina Ortiz speaks the ancient Aztec wisdom as well as the modern stories of Mexico. She loves bright colors, beautiful songs and deep prehispanic sounds. As a storyteller and a musician she has traveled the world; has published 4 books and produced 4 records with her original stories and music. Julie Pasqual has told extensively in the NY/NJ/CT area, as well as internationally, most recently on a month long tour of Argentina. Her audiences range from kindergartners to adults, and her venues run the gamut from schools, to libraries, to festivals, to homeless shelters, and even to youth detention centers. "The power of imagination is one of the greatest gifts that a human being can have. Children tended to have it spades, gradually loosing it as they became more linear in their thinking as they "grew up". Now, though, I see kids as young as five loosing the ability to conjure up anything that is not right there in front of them. The world of Hans Christian Andersen is a world of wonder, imagination, and of possibility, it is a place that the children of New York - who have the very world of art and culture at their finger tips, need desperately. For without the power of imagination how can one truly live their lives to the very fullest." Therese Plair. Therese Folkes Plair is a classically trained singer who in 1979 changed her artistic direction from opera to world music and storytelling. 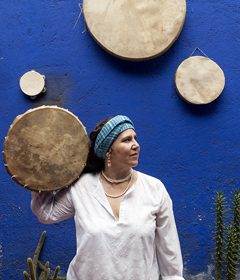 She has been traveling to seven African countries and conducting workshops, as well as performing and lecturing. Connie Regan-Blake. One of America’s most celebrated storytellers, Connie Regan-Blake has captivated the hearts and imaginations of enthusiastic audiences everywhere. With playful elegance and engaging humor, Connie takes her listeners on an entertaining journey from old-timey mountain tales to surprising, heroic adventures of everyday living. " I believe storytelling is an integral part of who we humans are – it’s in our DNA. It is what is the same about all peoples of all time – we are drawn to listen to and tell stories. And storytelling will never die out. It has a glowing future because of its rich past." Rachel Rose Reid. Rachel was raised in London on a splendid concoction of immigrant oral tradition, English folk music and concrete jungle. Since winning the UK Young Storyteller of the Year Award, she has brought storytelling to new audiences in partnership with a host of collaborators, from the London Symphony Orchestra to Billy Bragg. "Queen of the new wave of storytellers" – BBC Radio 3; "Immense skill and breathless conviction. There's no faulting Reid's command of her craft". – The Times "Public places where we can relax and delight in stories together are far too rare, and must be nurtured In a city, where we can walk all day beside a million other people yet still feel alone. I am excited to play a part in preserving such a space!" Regina Ress, storyteller, actor, writer, and educator, has performed and taught from Brazil to Broadway, from homeless shelters and prisons to Lincoln Center and the White House. She teaches storytelling at NYU. Her 20+ years of storytelling at the Statue has taught her grace under pressure and brought her much joy. 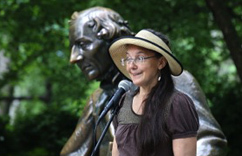 www.ReginaRess.com "Storytelling at the Andersen statue is one of the most delicious treats NYC offers. Who could not love it being a part of it!" 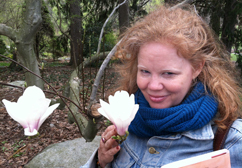 Mary Ann Schmidt is a storytelling teacher at PS 333, the Manhattan School for Children. She tells folktales from around the world in all the K-4 classrooms, and teaches students to tell stories. She believes there should be a storytelling teacher in every school. It is a vital art form that creates human connection and develops the imagination and public speaking skills, especially needed in the age of digital entertainment. Her students have been featured at the Hans Christian Andersen Statue and two of her students have been Torchbearers in the National Youth Storytelling Showcase. 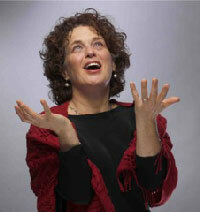 Peninnah Schram, storyteller, is Professor of Speech and Drama at Yeshiva University and author of twelve books of Jewish folktales. 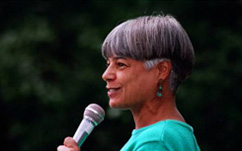 Peninnah is a recipient of the prestigious Covenant Award for Outstanding Jewish Educator and the National Storytelling Network's 2003 Lifetime Achievement Award "for sustained and exemplary contributions to storytelling in America." "When my children were young, they loved to climb on this statue - as children still do - feeling close to this great storyteller and his stories. They always wanted to have their pictures taken sitting on his lap - as children still do - and they have carried these memories into their adult lives. Now, in this time of digital technology, it is even more important for children to see / feel a 'real' book in the hands of a great writer and to understand that stories come from the imagination and the oral and written traditions." 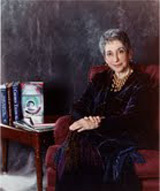 Ellen Shapiro. 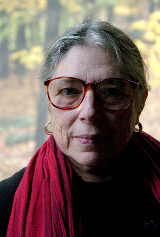 Ellen S. Shapiro has told folk, fairy, literary, and personal stories for over 40 years. She is a member of the Pearls of Wisdom storytelling group and wrote 25 introductions for classic books published by Random House/Crown. She studied how to perform Japanese Noh theater in the US and Japan. 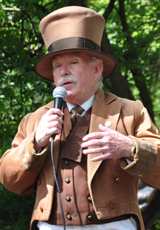 "The Andersen statue offers a continuing free outdoor storytelling venue where N.Y.'s diverse audiences — parents and children of all ethnicities, religions, and economic classes — can build up shared memories touching deep human values as well participate together in fun! Adult children who grew up listening to stories at the statue often bring their children. In this way, the stories' wisdom — be it expressed through funny, scary, lyrical, or teaching tales — is transmitted generation to generation." Mia Lynn Shelton is a New York-based actress and voice over talent. From discovering and harnessing her many voices by participating in the Hans Christian Andersen Storytelling Center-sponsored storytelling contests in elementary school, to competing in humorous and dramatic interpretation in speech and debate at Marymount School of New York, to becoming a member and director of BUTA (Black Underground Theater and Arts Association) as a student at Dartmouth College, performing has always been her passion. When not working, Mia volunteers as a pet therapy team with Wynston, her Yorkie, and enjoys Capoeira, Muay Thai, Latin dancing, traveling and fashion styling. "The world needs the magic of storytelling to create a more loving and peaceful reality." Elizabeth Sheperd. Story and imagination have woven through the life of Elizabeth Shepherd like a golden thread, but it wasn’t until she began studying with story mentor Laura Simms that she began to follow the pull of that thread deeper. Drawn to the power of ancient fairytale she approaches story as a living dream that holds within it the capacity to heal and transform lives. "It is an honor to come from the west coast and tell at this legendary site where story is so deeply present. " 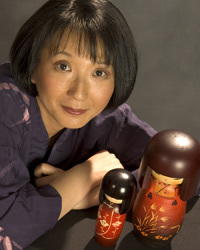 Anne Shimojima. Anne Shimojima is a storyteller of 30+ years, performing folk tales, literary stories, and her family’s World War II incarceration camp story. Some past venues include: Teller-in-Residence at the International Storytelling Center, Exchange Place at the National Storytelling Festival, Illinois Storytelling Festival, and Smithsonian American Art Museum. 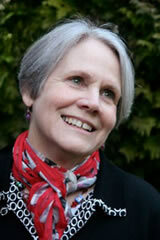 Anne also gives workshops on storytelling in education and the creation of family history projects. "How wonderful to be part of the 50+ year tradition of telling stories at the Hans Christian Andersen statue, at the side of the man who knew the importance of stories! " 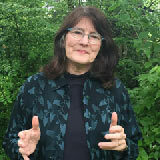 Laura Simms is an award winning performer, writer, and educator advocating storytelling as compassionate action for personal and community transformation. She is a Senior Research Fellow for the International Peace institute at Rutgers University Newark under the auspices of UNESCO. She performs worldwide for adult and young audiences. Hans Christian Andersen Storytelling Program "There is no other place that I love as much to tell stories and hear stories. Everyone comes alive. The event is made for families, and free for all ages, Some of the best storytellers in the world gather up the listening hearts of children and families, tourists, great writers, ordinary people, storytellers, rich or poor, doing what we human beings have done since time immemorial: imagine, feel, become the world together!" Ron Sopyla has been telling stories at the Andersen Statue for about 20 years. 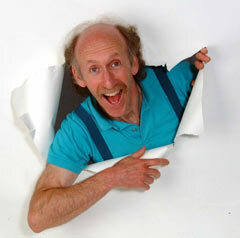 He has told stories in schools, libraries, museums and Festivals throughout the North East. He's a theater teacher at PS 88 in the Bronx. He lives in Beacon NY, in a small house under a big mountain next to a wide river with two cats and two dogs. "Storytelling at the Andersen statue is one of NYC's loveliest summer traditions. People who came as children now show up with their children in tow. It always surprises me, though it shouldn't, that most of the audience is made up of adults without children. Stories nourish us all." Rolf Stang tells such favorite stories as Thumbelina and Inchworm. Through The Tale of the Ugly Duckling children learn that it is unkind to be a bully and that each of us has the potential to change into a "swan." Students are often inspired to read the stories of Hans Christian Andersen for themselves. Navida Stein aka “Miss Navida” is New York based storyteller, actress, musician, writer & teaching artist. Her treasure chest of stories include folktales, fairy tales & myths of the world with original music as well as personal stories. 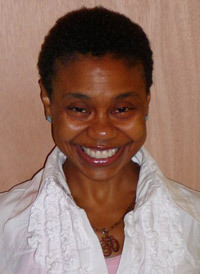 She’s the recipient of a 2014 Lower Manhattan Cultural Council grant & won Best Non-Fiction script for her show URBAN ZEN in the 2012 United Solo Festival. 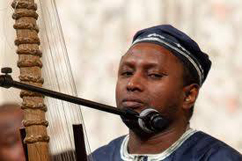 Salieu Suso was born into a family of farmers and traditional Gambian musicians/historians that extends back nearly 1000 years He was trained to play the 21 stringed Kora (West African Harp) beginning at age 8 by his father, renowned Kora player Alhaji Musa Makang Suso. He is a descendent of JaliMady Wulayn Suso, the inventor of the Kora. Suso graduated from high school in The Gambia, West Africa. Speaks English fluently and Mandigo, Fula, Wolof, Sarahulay and some German. Before settling in the United States in 1989, Suso performed widely throughout Africa and Europe. 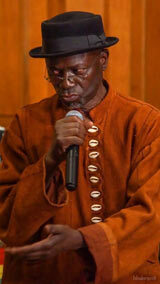 Salieu Suso is the leader of the Jaliya Kafo! Extended Family Music Ensemble, and is a leader in the nation’s rapidly growing African music scene. 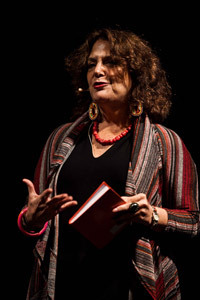 Gioia Tempanelli is a writer, poet, storyteller, former college English teacher and Public Television broadcaster/Producer, radio producer and broadcaster, performance artist, lecturer in literature at conferences and universities, and is one of the founders of the current world-wide revival of the art of story telling. She is a champion of stories from diverse cultures to promote world unity. She has won two Emmy awards, an American Book Award, an Oracle Award, and among many awards has also recieved the Brooklyn President's Award for "lifelong dedication to promoting Italian Language, literature, poetry and culture." 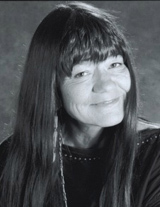 Dovie Thomason (Lakota and Kiowa Apache Nations in the U.S.) has had a lifetime of listening and telling the old, traditional stories that are the foundational narrative of indigenous values and memory. These timeless stories form the core of Thomason’s highly regarded repertoire. 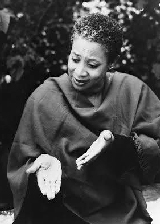 Her recordings of traditional stories, “Voices of the Animal People”, has been honored by Parent’s Choice, ALA, Booklist and School Library Journal as essential contributions to multicultural arts-in-education. "Telling stories at the Hans Christian Andersen statue in the park in NYC has always been about the wonder that traditional stories brings to families and communities. Now, it’s also a celebration of the vision and legacy of my dear friend, Diana Wolkstein and the profound community of storytellers in NYC." Megan Wells LOVES story. Yes. 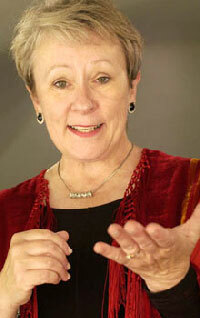 A touring professional storyteller, Megan has been loving story as her job for twenty-five years. Yes. She loves being a guest storyteller for the Chicago Symphony Orchestra as well as sharing stories in countless venues for marvelous audiences. Like you. Yes. Grateful? Absolutely YES! Winner of the 2016 Oracle award from the National Storytelling Network. www.meganwells.com "I will never forget the first time I played on the Hans Christian Anderson statue. Petting the little duckling completely immersed in the hope that I, too, could grow into a swan!" 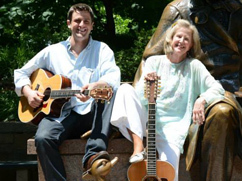 Jeslyn and Ben Wheless, mother and son, are award-winning storytellers and folksingers who play guitars, dulcimer, and autoharp. They perform in many venues in the NY Metro Area for audiences of all ages. They also teach storytelling and rap! Their CD, Hoot Owl Blues, was an ALA Notable, and their new CD, Join In, nominated for the same award, is a fun, rollicking way to instill acceptance of differences. In addition to folk and literary tales, Jeslyn and Ben enjoy writing songs, stories, raps, and plays for children. "The first story I told in public was in 1975 at the Hans Christian Andersen Statue with my incredible teacher, Dianna Wolkstein, whom we all miss so much. She made Andersen's stories come alive and enter the listeners' hearts. Through the years my children climbed on the statue after listening to stories, and later Ben performed there with me. When we tell stories and sing in front of the beautiful statue, Ben and I feel close to Diane, and to Daniel, who heard so many stories there." 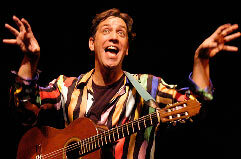 Marc Young is a Maryland-based storyteller whose passionate performances entertain listeners of all ages. Marc performs throughout the Mid-Atlantic region at venues such as the Baltimore Tellabration, the Washington Folk Festival, the Hans Christian Andersen storytelling series in Central Park (NYC), Towson University, Cylburn Arboretum, and Limmud Philadelphia. His most memorable storytelling experience took place by a campfire on the Serengeti plains of Tanzania, where he was heckled by a troop of olive baboons. "One of many names for God in Hebrew is 'ha-Makom': The Place. Names have power, and this one invokes the recognition of sacred spaces in the world, unique confluences of setting and spirit. This leafy bower, nestled in the clanging heart of the city, is such a place. I feel honored to tell a tale standing where so many masters and servants of Story have shared their gifts, particularly my teacher of blessed memory, Diane Wolkstein." 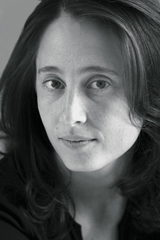 Rachel Zucker is the daughter of storyteller Diane Wolkstein and novelist Benjamin Zucker. She was raised in Greenwich Village and traveled around the world with her parents on Wolkstein’s folktale-collecting trips. Zucker is the author of nine books, most recently, The Pedestrians, a double collection of poetry and prose. 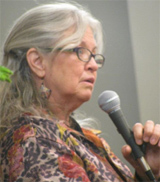 Zucker teaches poetry at NYU and is proud to co-ordinate the yearly Diane Wolkstein Memorial Storytelling Celebration, during which world-class storytellers tell stories by Diane Wolkstein to celebrate and honor her life and work. "I grew up at the statue and in and around my mother's and her storytelling friends' stories. The gift of stories is life-long. The storytelling tradition at the Hans Christian Andersen is one of the most wonderful things about New York City."